Head Coach's Name (of the team that you are registering for):* This field is required Please type the name of your head coach below. Gender:* This field is required Enter the gender of the player. Age/Grade as of the 2018-2019 school year:* This field is required Our season is September 1, 2018 to August 31, 2019. 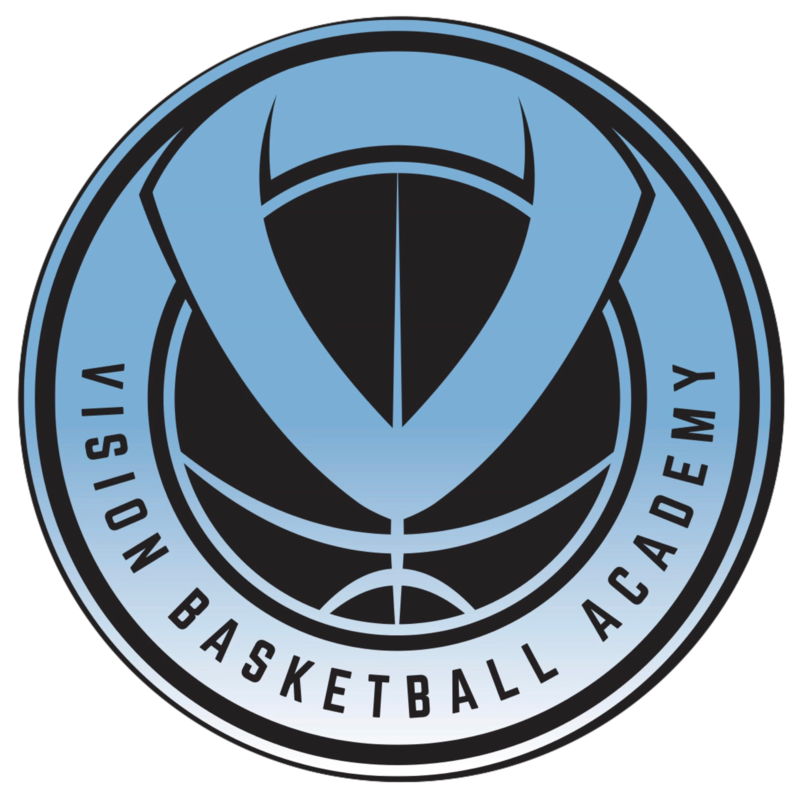 How did you hear about Vision Basketball Academy? Select an option below or click "Next" to skip to the next question. Some teams have decided to use a higher registration fee in order to increase their team budgets to be able to afford planned extra practices/travel tournaments. Registration fees include AAU membership (AAU card) and insurance for the 2018 -2019 season. If ordering uniforms, indicate your answers below: If you do not need to order new uniforms, click "Next" below to skip to the next question. Some jersey numbers may have already been taken. Priority will be given to returning players. Priority for new jersey numbers will be given to the player who submitted the registration form and payment in the order received. Please allow at least 3-4 weeks for the delivery of custom uniforms. Lead times may vary depending on season and vendors availability. Indicate the shorts size above. Select three numbers (separated by commas) in order of preference. AGREEMENT/WAIVER* This field is required SCROLL ALL THE WAY DOWN TO ACCEPT THE AGREEMENT/WAIVER. I hereby waive, release and discharge any and all claims for damages for the personal injury, death, or property damage which I may have, or which hereafter accrue to me or my child, as a result of participation in basketball practices and/or basketball competitions in all its forms. The release is intended to discharge in advance, the organization (Vision Basketball Academy), it’s coaches or volunteers from any and all liability arising out of or in any way connected with my participation in said activity. Its understood that the activity involves an element of risk and danger of accidents and knowing those risks, I assume those risks. It is further agreed that this waiver, release, and assumption of risk, is to be binding on my heirs and assigns. I agree to indemnify and to hold the Vision Basketball Academy, all persons and entities associated with the (Vision Basketball Academy), free and harmless from any loss, liability, damage, cost or expense, in which they may incur as a result of death, injury or property of damage that I may sustain while participating. I also give the AAU team (Vision Basketball Academy), it’s coaches or volunteers the right to copyright and/or publish, reproduce, or otherwise use my child’s name, voice, and likeness and/or photographs, and audiovisual recordings that include my child for instruction, advertising, program website, publications or brochures, or any other lawful purpose whatsoever. I hereby agree to relinquish all rights, title and interest I may have in the finished product and waive all rights to any compensation thereof. I/We agree with the above. PARENTAL CONSENT* This field is required SCROLL ALL THE WAY DOWN TO ACCEPT THE AGREEMENT/WAIVER. I hereby consent that my child may participate in the above activity, and hereby execute the above agreement, release and waiver on his behalf. I state that said minor is physically able to participate in said activity. I hereby agree to indemnify and hold the persons and entities mentioned above free and harmless from any loss, liability, damage, cost, or expense, which may arise or may be incurred as a result of death, injury, or property damage that said minor may sustain while participating in said activity. I further expressly acknowledges that the foregoing agreement, waiver, and release form is intended to be as broad as is permitted by the laws of the State of California and that if any portion thereof is held invalid, it is agreed that the balance notwithstanding, continue in full legal force and effect. Undersigned agrees that no oral representations, statements or inducements apart from the foregoing written agreement have been made. I acknowledge that the cost to participate in Vision Basketball Academy activities. The monthly fee covers all gym time, practices and games each month. I agree that for as long as my child is participating in Vision Basketball activities that payments will be made by the 10th of each month. I HAVE READ THE FOREGOING RELEASE, I FULLY UNDERSTAND IT, AND I AGREE TO BE BOUND BY IT. Registration Type:* This field is required REGISTRATION IS NOT COMPLETE UNTIL PAYMENT IS RECEIVED. ** Player will not be on the official roster until this registration form and payment are both submitted. Total payment amount below will include processing fees.